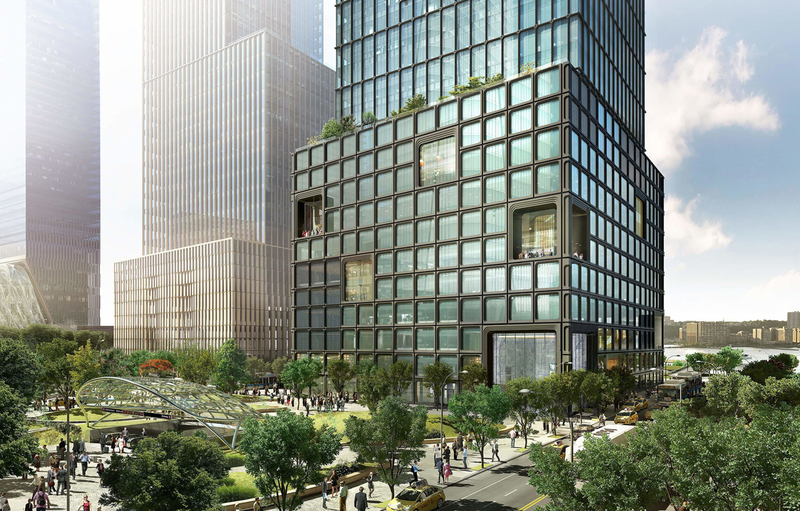 The new 55 Hudson Yards imposes a powerful image in Manhattan, its contemporary and sleek look contrasts with the nearby meatpacking district’s industrial roots. The 1,300,000 square-foot mixed-use development was part of a large scale redevelopment program lead by architecture firm Kohn Pedersen Fox in conjunction with Kevin Roche John Dinkleoo and Associates. The Hudson Yards redevelopment project is regarded as the largest private real estate development in United Sates history since the Rockerfeller Center. Reminiscent of early modernism, the 780-foot tall structure’s most striking feature comes in the form of the expansive curtain wall that stretches upwards. 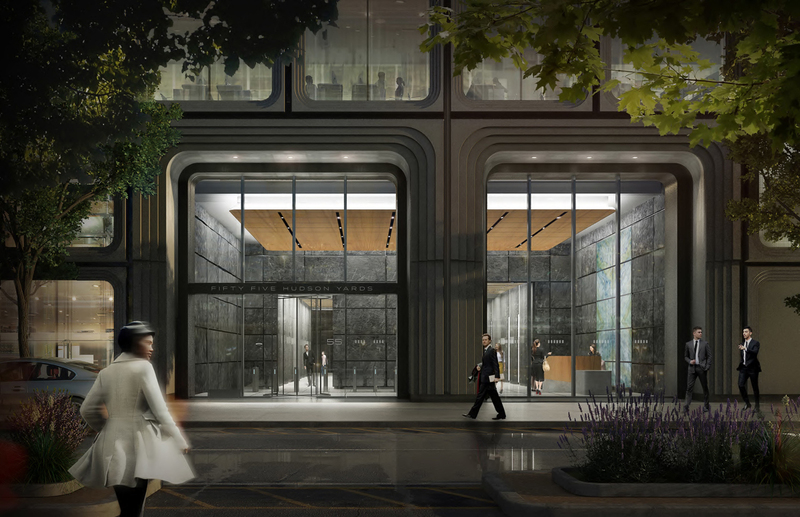 The striking facade was inspired by an array of New York landmarks in addition to iron cast facades in SoHo. The building’s interior is equally as impressive as the exterior, and was designed to create an environment in which the surrounding outdoors seamlessly flow indoors. The interior features a spectacular lightweight ceiling, ideal for the ample amounts of natural light that filters into the building. The aluminum flat panel, a custom-made product from Pure + Freeform, is enhanced with Lumiflon FEVE resin technology. The high-performance resin provides an impressive number of advantages to architectural surfaces that are subjected to high exposure. With Lumiflon FEVE resin, the likelihood of coating degradation at the hands of UV radiation, moisture, and other elemental deterrents is greatly decreased. 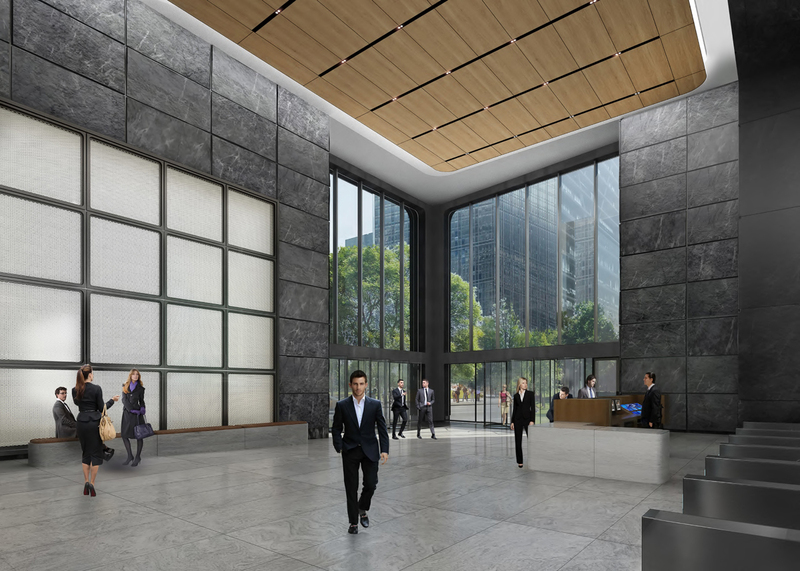 The addition of an advanced coating system allows the affected surfaces, in the case of 55 Hudson Yards, the lofty aluminum panels installed on the ceiling, to prosper for decades.